Albrecht von Graefe was born in Finkenheerd near Berlin in 1828. He graduated from the Berlin University in 1843.
becoming a lecturer of ophthalmology in the University of Berlin. issued by East and West Germany in 1978. 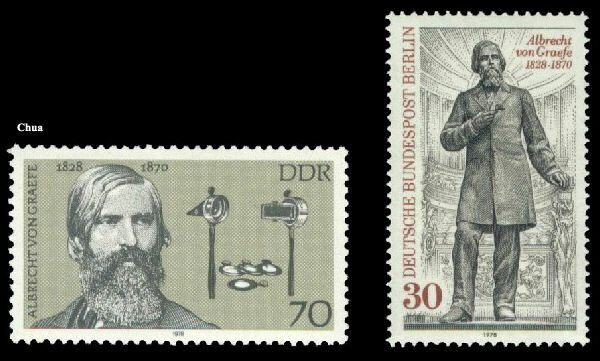 He was portrayed on the East German stamp with early ophthalmoscope. On the West German stamp, a statue of von Graefe is featured.